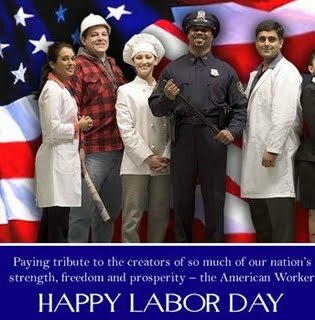 The first big Labor Day in the United States was observed on September 5, 1882, by the Central Labor Union of New York. It became a federal holiday in 1894, when, following the deaths of a number of workers at the hands of the U.S. military and U.S. Marshals during the Pullman Strike, President Grover Cleveland reconciled with the labor movement. 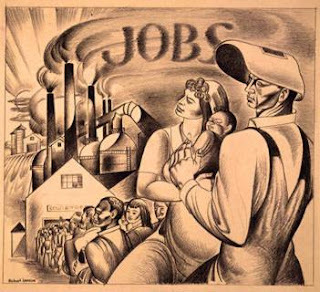 Fearing further conflict, legislation making Labor Day a national holiday was rushed through Congress unanimously and signed into law a mere six days after the end of the strike. The September date originally chosen by the CLU of New York and observed by many of the nation's trade unions for the past several years was selected rather than the more widespread International Workers' Day because Cleveland was concerned that observance of the latter would stir up negative emotions linked to the Haymarket Affair, which it had been observed to commemorate. All U.S. states, the District of Columbia, and the territories have made it a statutory holiday. The form for the celebration of Labor Day was outlined in the first proposal of the holiday: A street parade to exhibit to the public "the strength and esprit de corps of the trade and labor organizations," followed by a festival for the workers and their families. This became the pattern for Labor Day celebrations. Speeches by prominent men and women were introduced later, as more emphasis was placed upon the economic and civil significance of the holiday. Still later, by a resolution of the American Federation of Labor convention of 1909, the Sunday preceding Labor Day was adopted as Labor Sunday and dedicated to the spiritual and educational aspects of the labor movement. The holiday is often regarded as a day of rest and parties. Speeches or political demonstrations are more low-key than May 1 Labor Day celebrations in most countries, although events held by labor organizations often feature political themes and appearances by candidates for office, especially in election years. Forms of celebration include picnics, barbecues, fireworks displays, water sports, and public art events. Families with school-age children take it as the last chance to travel before the end of summer recess. Similarly, some teenagers and young adults view it as the last weekend for parties before returning to school, although school starting times now vary. In U.S. sports, Labor Day marks the beginning of the NFL and college football seasons. NCAA teams usually play their first games the week before Labor Day, with the NFL traditionally playing their first game the Thursday following Labor Day. The Southern 500 NASCAR auto race was held that day from 1950 to 1983 in Darlington, South Carolina. At Indianapolis, the National Hot Rod Association hold their finals to the U.S. Nationals drag race.